Software engineers are very often confronted with a critical career choice question: Which programming language is best to learn today for the upcoming future? 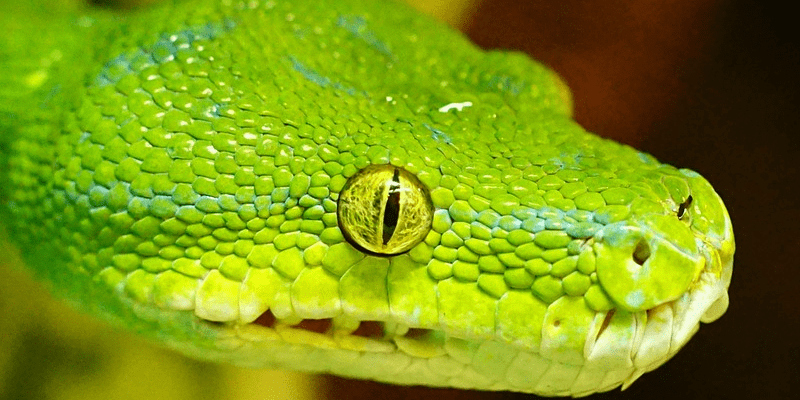 The choice between programming languages is even harder to make if two contesting skills are similar in their nature, which is exactly the case of Python and Perl. Therefore, rather than talking about technical differences of Python and Perl, we will discuss the employer’s demand for these two programming languages in the context of IT skills required in the Linux job market. As the first indication of the demand for Python and Perl we will look at their rankings in the IT Skills Watch provided by LinuxCareer.com. In the January’s update of the IT Skills Watch we have identified that Perl reached the score of 3594 while Python’s score was equal to 3390. 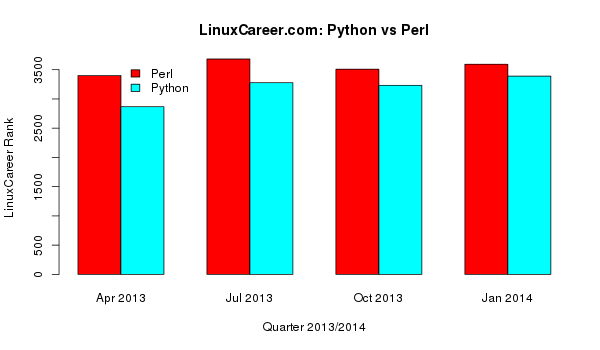 The graph below shows IT Skills Watch scores for Python and Perl recorded from April 2013. Perl has had a higher score in each of the analyzed quarters. However, it is interesting to notice that the score difference between Python and Perl has decreased from 534 in April 2013 to 204 in January 2014. With successive decreases in the score difference, it can be concluded that Python has gained in popularity relative to Perl in the last year. If such trends continue, we can expect that Python may reach a higher score than Perl in the next few months. The above statistics do not say anything about the joint appearance of Perl and Python in job advertisements. We know that Perl appears more frequently in job advertisements, however, it would be interesting to see how often both skills appear together in job ads. In the article, Insights into top 3 IT skill groups in highest demand, Perl, Python and Bash were classified together in a subgroup of scripting languages. Further analysis of their joint appearance in job advertisements has indicated a high correlation of these skills. This suggests that they often appear together in job advertisements. It can be also concluded that, since these programming languages are very similar in their nature, the knowledge of one of them is sufficient for employers of IT professionals. In summary, we have not found sufficient evidence that one of these programming languages is preferred over the other by employers of Linux talent. The choice between Perl and Python should be based upon personal affinity toward a particular language. The mentioned decrease in the LinuxCareer’s score difference between Perl and Python is quite interesting and worth following.